AREU encourages a culture of research and scholarship as it opens its doors to Afghanistan experts and scholars who are in the process of conducting their independent research. Recipients of VSP will be provided with an office for maximum of 3 months at AREU premises. They can use the organisation’s facilities, such as, the library, and internet facility during office hours. 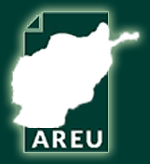 Further, AREU will support in facilitating their meetings in Afghanistan. In return, VSP recipients will be expected to support AREU in its research work and contribute to AREU’s publications, blogs and other areas based on their subject expertise. The deadline for application are biannual: May 15th, 2019 and September 15th, 2019.